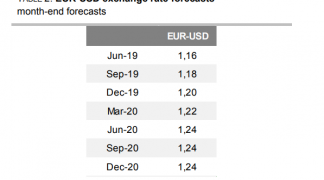 Week ahead forecast for Pound Sterling against the Euro suggests upside impetus is fading while attention will turn back to the state of the UK and Eurozone economies as Brexit headlines fade. 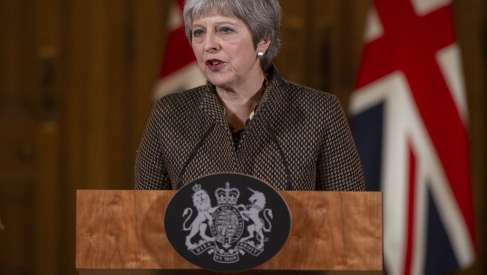 The Pound-to-Euro exchange rate is trading at 1.1547 at the start of the new week, down 0.4% from the week before taking the loss for the past month to 1.14%. The fall came as a result of the Pound gaining little from the news of a lengthy delay of the Brexit deadline till October 31, while the Euro rose at the end of the week on rumours of demand from a takeover of a European company by a foreign rival. From a technical perspective, the forecast for GBP/EUR has turned neutral now the pair has broken below the 1.1600 range highs. We have had four down weeks in a row, which is not a particularly positive sign for the pair either, yet, at the same time, actual downside momentum is not particularly strong suggesting this could be nothing more than a pull-back rather than a reversal. Overall we are neutral until a substantial directional move evolves in either direction clarifying the trend. The close below the long-term range highs at 1.1600 was a bearish sign and would normally provide evidence to suggest a reversal, however, in this case, because of the sluggish nature of the selloff as well as the probable fundamental reason underlying it, we query whether that is so. The fundamental driver for the Euro’s rise at the end of last week has been that it was due to one-off purchases of Euros by a Japanese corporation taking over a European rival. If so, its influence should rapidly fade. One bearish factor, which cannot be ignored, is a pattern, quite probably of the ‘topping’ variety, has been forming at the highs on the daily chart. Another is the close on a daily basis below the 50-day moving average (MA), and a third the much more bearish RSI momentum on the daily chart, which compliments the decline in price. The key to deciding whether it is a bearish topping pattern or not, is whether the exchange rate can break below the 1.1466 lows. If so a steep decline should follow to the next major target at 1.1400, where the 50-week MA and monthly pivot are situated. A break above the 1.1802 highs, on the other hand, would suggest the pattern was actually just a consolidation in a short-term uptrend. Such a move would probably confirm a continuation up to a target at 1.1930. With the deadline for exiting the EU now having been delayed Brexit will probably be less of a driving force for the Pound in the short-term. Bear in mind parliamentarians are also on their Easter break, therefore headlines should fade in frequency for this politically-charged currency. Instead, hard data will become a more important driver again, and the highlight will likely be UK labour market data out on Tuesday, April 16, at 9.30 BST. Of the various labour market stats which will be released average wages will be the most important. Average earnings are expected to show a 3.4% rise in February compared to the 3.4% previously, and wages including bonuses, a 3.5% rise. Forecasts are quite high and if the actual figures are even higher it would almost certainly give a lift to the Pound. 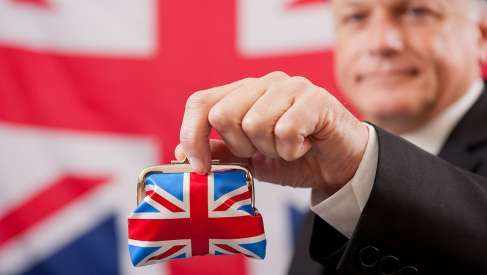 The Bank of England is keeping a close eye on wages and have suggested they could raise interest rates in 2019 should wage rises continue to be robust. And, expectations for higher interest rates at the central bank tends to be a positive driver of Sterling. "We are anticipating that average earnings will show a pick-up in the headline rate of income growth in the 3 months to February to 3.6%y/y while regular pay rises by 3.4%. This would reflect the tightness that we continue to see in the labour market amid ongoing delayed corporate investment spending," says Henry Occleston at Lloyds Bank Commercial Banking. Jobs are forecast to have increased by 180k 3 months-on-3 months in January from 220k in the December, and expectations are the unemployment rate remained at 3.9%. The unemployment allowance claimant count is forecast to be 20k in March from 27k in February. If wage data is strong it is expected to warn of better retail sales data when it is released on Thursday at 9.30 BST given the close relationship between the two. Current forecasts are for retail sales to show a -0.3% fall in March from 0.4% in February and a 4.6% rise year-on-year. The other main release for the Pound is inflation data for March out mid-week, which is forecast to show a 0.3% rise compared to the 0.5% increase previously, and a 2.0% rise compared to a year ago. 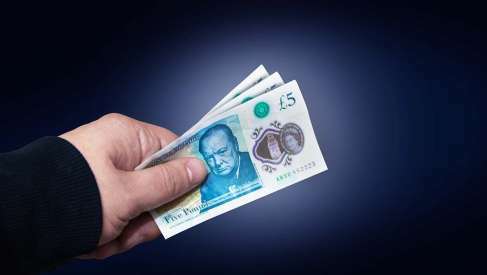 Higher inflation tends to drive up Sterling since it usually results in the Bank of England (BOE) having to raise interest rates, and higher interest rates tend to attract higher foreign capital inflows. The main fundamental drivers for the Euro in the week ahead are likely to be the release of the two sets of sentiment surveys - the ZEW economic sentiment and flash PMI surveys for manufacturing and services for April. The ZEW economic sentiment index in Germany is the first to be released on Tuesday at 10.00 BST when the balance of optimistic to pessimistic responses is forecast to show a rise into positive territory to 1.0 from -3.6 previously. This would be its highest reading of 2019. All eyes will be on this release with markets trying to gauge whether Germany's recent run soft economic performance is coming to an end. 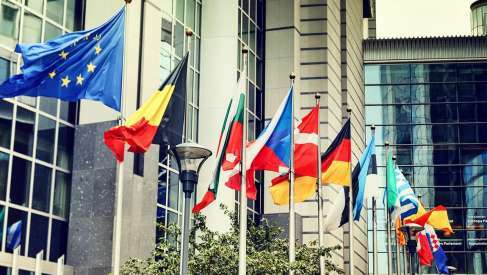 The Euro was bid last week as industrial production statistics suggest the first signs of spring are starting to show for the economy; confirmation of this would almost certainly play positive for the single-currency. The ZEW economic sentiment index for the Eurozone as a whole, meanwhile, is expected to come out lower at -9.5 from -3.6 previously. The ZEW is often viewed as a leading index for the wider economy so if it rises strongly it is taken as a positive sign for the Euro and can lead to gains for the currency. The first set of Eurozone PMIs in April are scheduled for release at 9.00 on Thursday. They could have a greater than expected impact. Current market expectations are for manufacturing sector activity to recover to 48 from 47.5 and services to fall slightly to 53.1 from 53.3. PMI’s have been in decline since the start of 2018 but some economists think they might be bottoming and due a rebound. “There could be more positive news on Thursday from IHS Markit’s preliminary PMI readings for April. The Eurozone’s manufacturing PMI is forecast to rise for the first time since July 2018, edging up from 47.5 to 48.0 in April. The services PMI is projected to ease to 53.1 after two months of solid increases. Meanwhile, the composite PMI, which includes both manufacturing and services, is forecast to nudge higher from 51.6 to 51.7, indicating a slight acceleration in overall growth in the euro area,” says Raffi Boyadjian, an economist at FX broker XM.com.